Sacha and I went out for a mini-vacation this past weekend to Byeonsan-bando National Park. 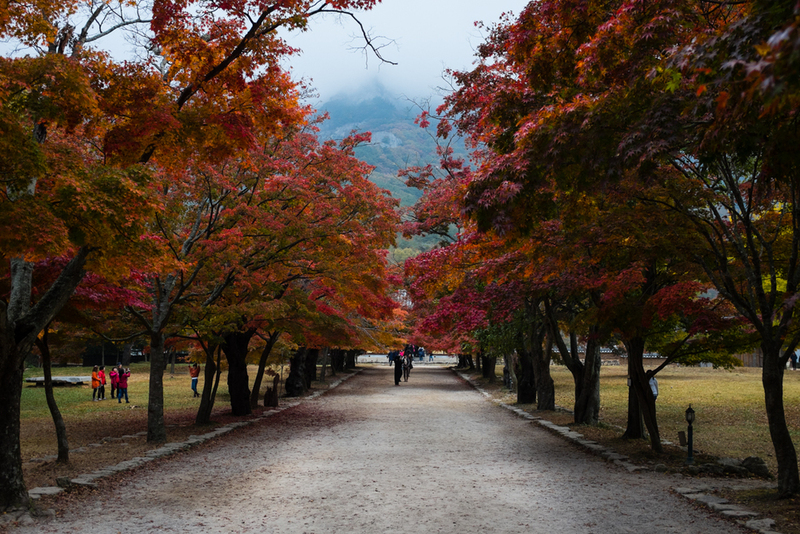 This is the walk up to the Naesosa Buddhist temple at the foot of one of the mountains. With the colors at their peak and a nice mist moving in from the coast, I don't think we could have timed our trip better! Stay connected for updates on projects, travel updates, ramblings, and random photographs.